How best to balance your vitamin D dosage is quite a juggle and can be a controversial subject. Increasing numbers of wellness focused people are aware of some of the optimum health values of vitamin D3, which now go way beyond the established bone health qualities that have been acknowledged for some time. Adding to the confusion is some concern of just how much would lead to excessive vitamin D3 intake, culminating in the rare event of vitamin D toxicity. Besides having been acknowledged for decades as a necessary cure for Rickets, since around 2000, Vitamin D seemed to arrive as the all new wonderful cure for so many different health conditions. Various discussions and debates have been held over whether the claimed benefits are substantiated sufficiently well? Also, at what levels are the vitamin D dosages sufficient? From a safety perspective, research predominantly seems to agree on an upper daily dosage limit of 10,000 IU of vitamin D3 (about 250 g - micrograms). By far the most efficient way to produce Vitamin D naturally is through the skin via a photosynthesis type process and direct contact with the sun's UVB rays. diet - there are some diets that are extremely high in Vit D, but not many. e.g. 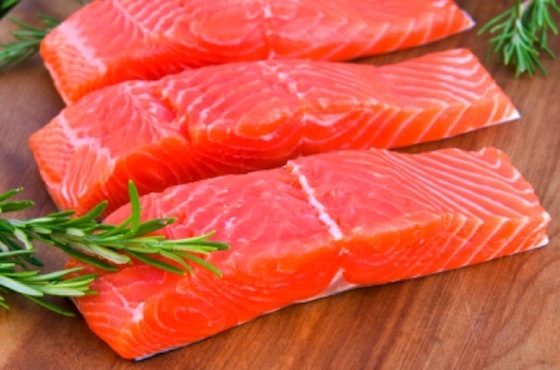 Eskimos eating high levels of fish oil or polar bear liver are very high! It should be noted that although a wonderful source of vitamin D is found in cod liver oil, it also contains a high dose of vitamin A. Excessive vitamin A intake can be associated with some side effects that include liver damage and bone fractures. Acute overdose of vitamin D requires between 600,000 IU per day and 1,680,000 IU per day over a period of several days to months. In general, a safe upper intake level is considered to be 10,000 IU per day. It is also believed that exposing your whole body to solar ultraviolet radiation for about 20 minutes (depending on your individual skin type, etc) is comparable with taking an oral dose of between 10,000 and 25,000 IU per day (250 and 625 g) of vitamin D.
Foods by comparison, contain such low levels of vitamin D that they have not been known to have the ability to cause an overdose. Once you have discovered that your Vitamin D levels are deficient, there may be many different reasons why exposure to sunlight is not possible, and so supplementation is advised. Vitamin D dosage will depend upon the nature and severity of the vitamin D deficiency, as well as a number of complicating factors such as your overall health, or conflicting medical research opinions. I like to use the Vitamin D Council as my base for the most advanced thinking in terms of the research on Vitamin D, but I also like to look into the details supplied by the various scientific research companies or educational institutes working with Vitamin D projects. There are many types of vitamin D preparations available for the treatment of vitamin D deficiency or insufficiency. The two commonly available forms of vitamin D supplements are ergocalciferol (vitamin D2) and cholecalciferol (vitamin D3). Vitamin D3 is commonly recommended in preference whenever possible, rather than vitamin D2, as vitamin D3 raises our Vitamin D levels more effectively - most probably because it is the naturally occurring form of the vitamin. For those people who do have diseases or conditions that prevent them from absorbing vitamin D normally, the recommended dose of vitamin D will be best determined on an individual basis through a health practitioner. In people whose vitamin Dlevel is considered to be normal (>30 ng/mL [75 nmol/L]), a dose of 800 - 1,000 IU's of vitamin D per day is commonly recommended for a maintenance level. However, in contrast, the Vitamin D Council recommends a vitamin D dosage of 5,000 IU per day for adults as a maintenance dose and 1,000 IU/day for every 25lbs of body weight in children, in order to sustain good Vitamin D sufficiencies. In general, evidence gathered in Vitamin D research indicates that the synthesis of vitamin D from sun exposure works in a feedback loop that will prevent any toxicity. However, because of relative uncertainty about the level of cancer risk from the sun's UV rays, no recommendations have been officially issued by any of the various health bodies as to what the recommended amount of sun exposure is to meet basic vitamin D requirements. You will find that most dietary recommendations for vitamin D supplementation therefore assume that no sunlight synthesis occurs and that all of a person's vitamin D is obtained from their diet. In practice this rarely occurs at sufficient levels without supplementation. Overdose has been observed at 77,000 IU (1,925g/d) per day. Acute overdose requires between 600,000 IU per day (15,000g/d) and 1,680,000 IU per day (42,000g/d) over a period of several days to months. A safe Upper Level (UL) intake is considered to be 10,000 IU per day (250g/d). Originally an UL of 2000 IU per day was "viewed by many as being too restrictive, thus curtailing research, commercial development, and optimization of nutritional policy". (1) Human clinical trial data published subsequently supported a significantly higher UL. According to the trials conducted, the absence of toxicity using vitamin D doses >10 000 IU vitamin D3 per day supported the confident selection of this as an UL value. For adults, the 5-g (200 IU) vitamin D recommended dietary allowance may prevent osteomalacia in the absence of sunlight, but more is needed to help prevent osteoporosis and secondary hyperparathyroidism. Other benefits of vitamin D supplementation are implicated epidemiologically: prevention of some cancers, osteoarthritis progression, multiple sclerosis, and hypertension. But how high to take the dosage is not yet fully agreed between the various medical bodies. Published cases of vitamin D toxicity with hypercalcemia, where the vitamin D dose involved an intake of 40,000 IU per day. Because vitamin D is potentially toxic, intake of >1000 IU's per day tends to be avoided even though there is much evidence pointing to 2000 IU's per day being too low by at least 5-fold. In 2008, the American Academy of Pediatrics (AAP) increased its recommended daily intake of vitamin D in infants, children, and adolescents to 400 IU. Dr. Cannell reviewed a study from a Polish group recently that examined if this 400 IU daily vitamin D recommendation for infants is adequate. The Institute of Medicine (IOM) also found that there is strong evidence to support the use of vitamin D at this level with calcium for bone health but that it was lacking for other health conditions. 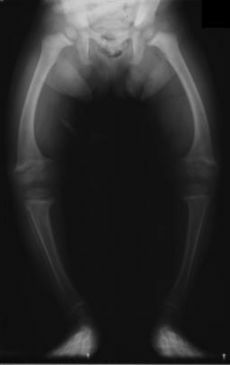 Rickets may be treated gradually over several months or in a single day's dose. Based on one clinical trial, a single dose of 600,000 IU of oral vitamin D3 was comparable to a dose of 20,000 IU of oral vitamin D3 daily for 30 days. Alternatively, 5,000-10,000 IU's can be taken daily for 2-3 months, until recovery is well established and the alkaline phosphatase blood concentration is close to normal limits. Single day dosing can be divided into 4 separate doses or can be administered via one intramuscular injection. For resistant rickets, some authors even suggest a higher dose of 12,000 to 500,000 IU daily. Anticonvulsant-induced osteomalacia can be treated with 2,000 IU's of vitamin D2 taken by mouth daily plus 500 milligrams of calcium for three months. Tuberculosis (TB) can be treated with 1,000 IU's of vitamin D3 taken by mouth in combination with standard TB therapy. For type 1 diabetes, 2,000 IU's of vitamin D3 taken by mouth daily for a year has seen a reduced risk of type 1 diabetes. Inflammation unchecked can lead to the progression of many forms of disease. Most medical professionals maintain satisfactory vitamin D levels that actually do not seem to inhibit the inflammatory cascade. A Dr. Elena Goleva from National Jewish Health, however, believes that it is best to "maintain your vitamin D blood levels above 50 ng/ml (as measured with the 25(OH)D test) to afford maximum protection against chronic inflammatory-mediated diseases." Contrary to widely held medical beliefs in the 1950s and '60s, vitamin D not only does not cause birth defects, it is now recognised as highly important for maternal and infant health, including bone health and general immune function. In fact, more recent studies have shown that vitamin D deficiency during pregnancy is a serious public health issue. Besides not enjoying enough time in the sun's UV rays, it is also believed that today's diet doesn't provide enough vitamin D even with al the Vitamin D fortification of some foodstuffs. Bruce W. Hollis, PhD, who has worked in the field of vitamin D research for the last 30 years, set out to determine the optimal dose of vitamin D supplements for pregnant women without doing them any harm. His results showed that the greatest effects were seen among women taking 4,000 IU of vitamin D per day. This has therefore become what is highly recommended as a daily regimen for all pregnant women. It has been observed that obese people are unable to either make or absorb enough Vitamin D3. Individuals reported that after taking 10,000 IU's for six months their blood level was only in the 30s. They deduced that at their weight, 40,000 IU's daily would probably be required just for maintenance purposes. Whereas 'normal' weighted people can boost their levels at 10,000 IU's for a few months and then drop to a maintenance level of only 5000 IU's. It appears that Vitamin D is metabolically cleared by the body for both wellness purposes as well as the treatment of disease. So pain and disease deplete Vitamin D levels faster than if the body were healthy. As obesity is sometimes considered a 'disease of the body' in how the body reacts to the condition, a daily dose of 50,000 IU's for an obese patient is well within current treatment protocols according to the best Vitamin D researchers. Also, splitting the dosage to twice a day helps with the inability to absorb enough Vitamin D when sitting with this condition. 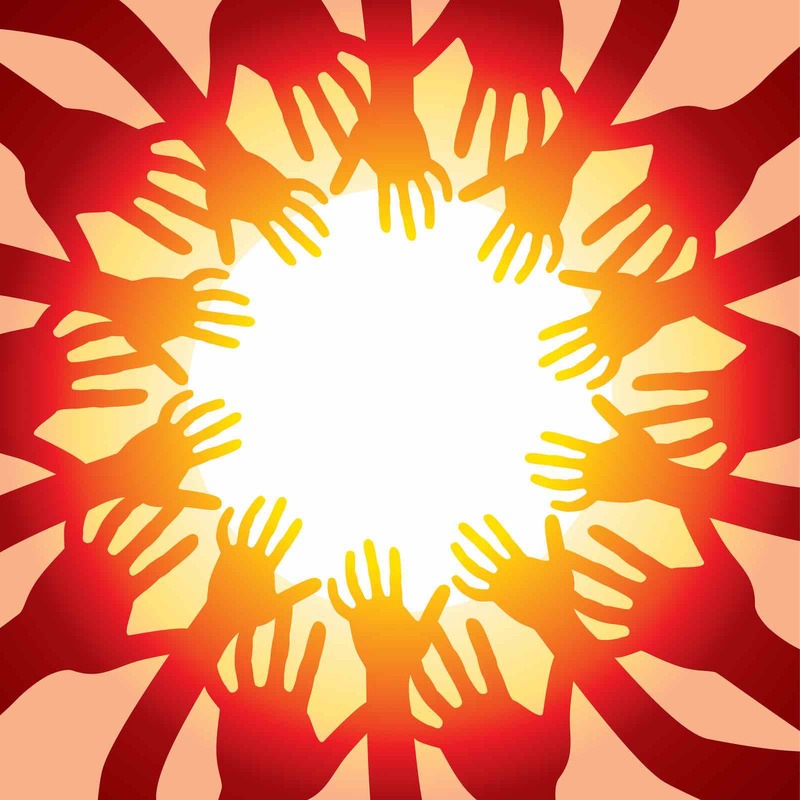 There are many different disease conditions that can benefit from Vitamin d supplementation. If you suffer from any of the following health conditions, please have your Vitamin D levels checked. If insufficient, look into the specifics of what vitamin D dosage would help. Dr Holick endorses "sensible, limited sun exposure" to optimise vitamin D dosage but also says it's time to recommend that everyone, regardless of skin color, take a daily vitamin D supplement of at least 1,000 IU's. An 8-ounce glass of fortified milk contains 100 IU, so one can see that it would require quite a lot of fortified foods to reach the minimum recommended amount. "All Americans, but particularly people with darker skin, should pay attention" to new guidelines due next year, says Adit Ginde, a researcher at the University of Colorado Denver School of Medicine. Ginde led a recent study, published in the Archives of Internal Medicine, that found that vitamin D levels are falling in all racial groups but are especially low in African Americans. A little bit of sunshine, some Vitamin D in your foods and a basic supplement suitable to your skin type or medical health condition seem to be the basics required where vitamin D dosage is concerned.